Trent Reznor has lost the bassist for his revived Nine Inch Nails' upcoming summer tour. 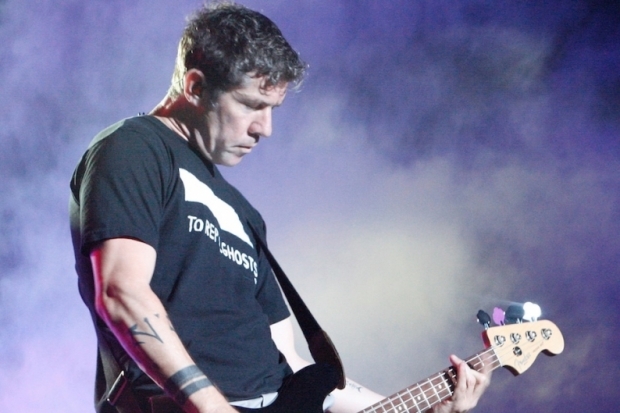 Eric Avery, the founding bassist for Jane's Addiction, revealed today in a Facebook post he is leaving NIN. Avery wrote that he wanted to focus on music at home in Los Angeles, especially film work. Avery, who toured with Garbage last year, also said he was feeling "overwhelmed." A replacement for Avery has not yet been announced. NIN's next scheduled show is at Fuji Rock Festival in Japan on July 26. Their first upcoming U.S. gig is Chicago's Lollapalooza in August. Their tour dates currently run through New Orleans' Voodoo Music + Arts Experience in November, but the band's website promises more soon. Avery co-founded Jane's Addiction in 1985 and left when the band broke up in 1991. He rejoined the group in 2008 for its reunion tour, but quit in 2010. That time, Jane's Addiction found a top-notch successor for Avery: former Guns N' Roses bassist Duff McKagan. Read Avery's full Facebook post below. its with very mixed emotions i tell you all that im pulling out of NIN. i know. its been a tough call and i don't know if its the right one. but i really want to focus on my musical life here in la, on film work in particular. as the tour dates kept growing… i just got overwhelmed. i just got home from a year of heavy travel with garbage, the idea of leaving town for another year and a half, and with all the intensity that nails demands… fortunately my friend Trent understands all this and appreciated my pulling the plug now instead of deep into 2013 and 14. go get em gentlemen.